The Indian IT industry is mostly services based industry which relies mostly on two types of jobs: software development and software testing (Quality Assurance). There are other streams too, but those are out of the scope of this discussion. We'll only focus on Testing vs. Development. 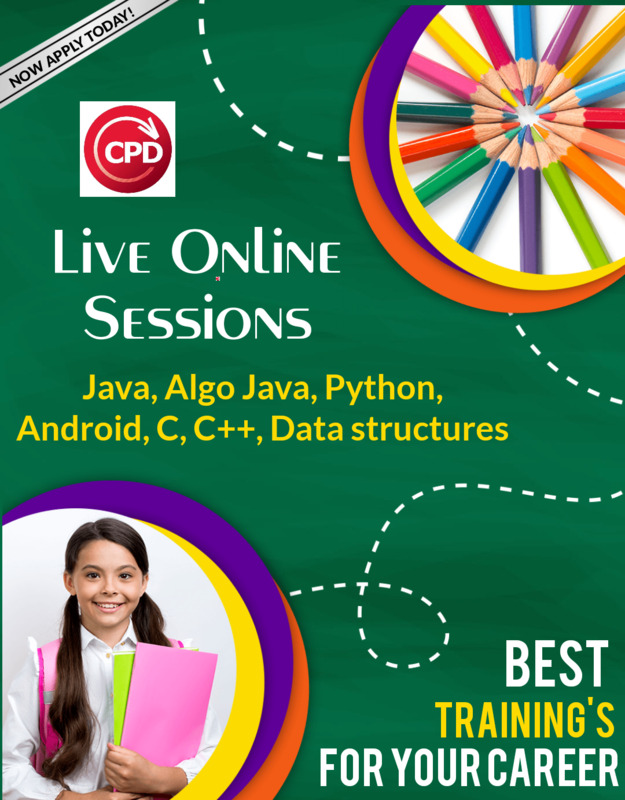 Software development used to refer to the activity of computer programming, which is the process of writing and maintaining the source code. Software development may include research, new development, prototyping, modification, reuse, re-engineering, and maintenance. Software testing is process used to identify the correctness completeness and quality of the developed computer software. It includes a set of activities conducted with the intent of finding errors in software so that it could be corrected before product released to the end users. In simple words software testing is an activity to check whether actual results match the expected results and to ensure that software system is defect free. Software Developers(or computer programmers) are the brains behind the design, installation, testing and maintenance of software systems. Much more than just playing around with codes, they play an important part in making a business more efficient and helping to provide a better IT service. Behind every great software developer, there is an equally great Software Tester. 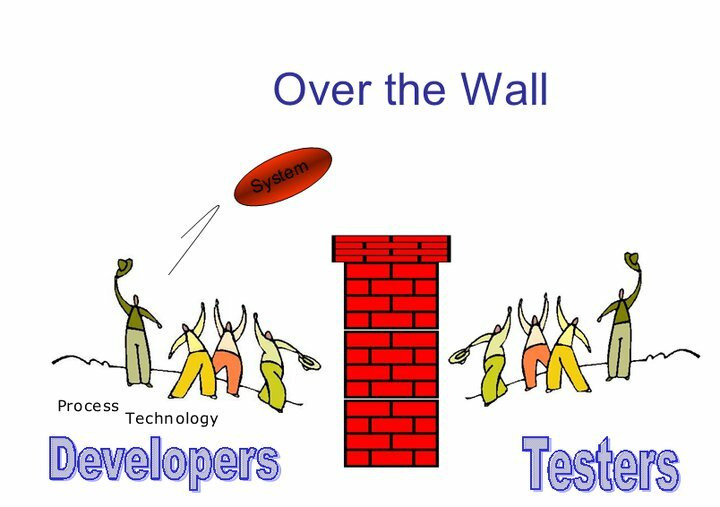 Once a product reaches a certain point in its development the developers must hand it over to the tester to see if it works (or doesn't work).Testing plays an important role in the development of new IT programmes. Almost everywhere developers consider testers as the troublemakers. Actually it’s not their fault, no one like to hear faults in his/her own code. And same thing testers are doing, of course intention behind that is to deliver quality output to client. Constantly there is bitterness at some point in the game between these two roles. Developer always wants to see his code working properly. So he/she will test it to check if it’s working correctly. But you know why tester will test the application? To make it fail in any way, and tester surely will test how application is not working correctly. 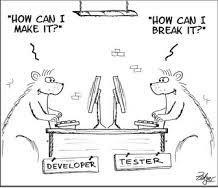 This is the main difference in developer testing and tester testing. How to make understanding relationship between testers and developers? Typically there would be 'two' teams working in sync on a project because both development and testing cannot be separated. Every written code must be checked for quality and without any team not existing – it'd be impossible to create the final software. The point is that both software development and testing teams are equally important. It's a myth that software testing is 'lower' as compared to software development and vice versa. Unfortunately or fortunately every promotion will take you away from your technical expertise. Ultimately both will become managers and will mostly use Microsoft Outlook, Power Point and Excel Sheets no matter which stream (development or testing) they belonged to. Bottom Line: Don't form opinions or take decisions based on what people say. Most people are not at all exposed to the IT industry or just one of testing or development. Do your own research, gather information on your own from well informed people. Sanjay Prajapati liked this on Facebook. मोहित गर्ग liked this on Facebook.